Bluehost is a prominent web hosting provider company. They are known for their quality service all over the world. Although they have launched their business in 2003, they have cemented their place on the web hosting industry profoundly. They have all kinds of web hosting services from typical shared hosting, dedicated hosting, Cloud Hosting to VPS hosting services. Among all of these, their dedicated hosting service is considered as one of the best services in terms of performance and features. If you are thinking about getting a new dedicated hosting account from Bluehost, then you are at the right place. Because we have prepared an extensive review of Bluehost Dedicated Hosting for you. And, we will share our insights about this particular web hosting service in this post. To put it simply, Dedicated Hosting means that you will have access to an entire server to host your websites. This server will be dedicated to only yourself. That server will have a specific amount of resources included like RAM, CPU, and Bandwidth etc. And, all the resources will be allocated to only one single user. Your server will be completely isolated from any other servers. So, you will not be able to use any other servers’ resources. At the same time, other users won’t also be able to use the resources from your server. Dedicated servers are superior in almost every way from a normal shared/VPS/Cloud server. First of all, you will have control of the entire server to yourself. You can customize, manage your server the way you wish to. As there aren’t any other users on your server, the performance from your server will always be stable and predictable. Consequently, you will also get a similar performance at all moment on your websites. 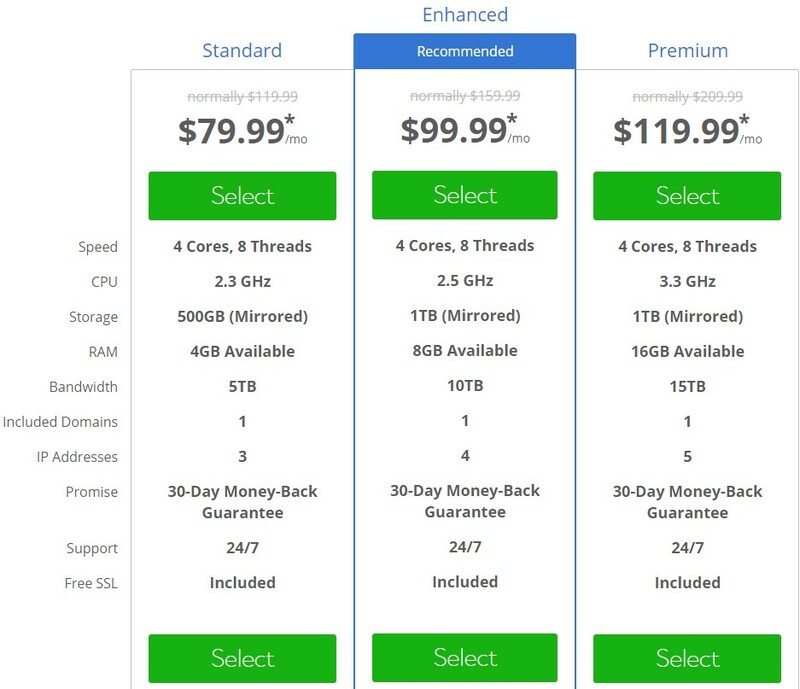 The only problem with dedicated hosting plans is their price. They tend to be a bit pricey than other types of hosting plans. It is because the cost of maintaining an entire server is much more, and the cost isn’t distributed amongst multiple users like the shared hosting packages. However, Bluehost has some cost-effective dedicated hosting packages. Now, we will take a look at them below. There are 3 dedicated hosting packages of Bluehost. The packages are named as Standard, Enhanced, and Premium respectively. The price of each package differs from one another and also the specifications are not the same for these packages. The packages were designed keeping all kinds of users on the mind. So, it will be very easy for you to find the perfect fit based on your needs. Now, we will give a quick rundown of the 3 dedicated hosting packages of Bluehost. The standard dedicated hosting package is the best package for users who want to try out Bluehost’s dedicated service. Because it has the lowest price among all the packages. However, you will not have the best features included with this package. The price of this plan starts at 79.99$/monthly. And, with this dedicated plan, you will be getting 2.3 GHz CPU (4 Cores, 8 Threads), 4 GB RAM, 500 GB storage, 5 TB bandwidth, and 3 Dedicated IP addresses. Another interesting thing about the ‘Standard’ plan is that you can upgrade this with 4×2.5 GHz CPU and an additional 1 TB Storage space for free. This service comes as an offer. If you want to use it you can but if you don’t then you are free to leave this offer. So, if you want to give Bluehost dedicated hosting a try, you can start here. This is a hosting plan which is used by a lot of users. This package is the perfect one as it is not highly priced but also comes with some awesome features. Eventually, now it is officially recommended by Bluehost. You can have this package by spending at least 99.99$ per month. And, the ‘Enhanced’ package comes with some cool specifications like 2.5 GHz CPU (4 Cores, 8 Threads), 1 TB SSD Storage, 8 GB RAM, and 10 TB Bandwidth. 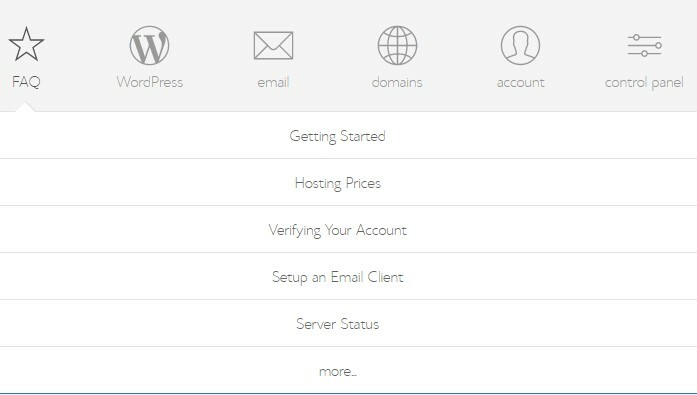 In addition, you are also receiving 4 Dedicated IPs to your account. Now we will be talking about the last plan. This is the plan which comes with the most and the best features. Thus, it is also a bit expensive. However, if you are searching for a package which is the best of the best, then you should consider this one. The ‘Premium’ package will cost you at least 119.99$/monthly. And, for this amount of fee, you will be getting 3.3 GHz CPU (4 Cores, 8 Threads), 16 GB available RAM, 1 TB Disk Space, 15 TB bandwidth, and additional 5 Dedicated IP addresses. You can see that all the specifications of this plan are very much better compared to the already mentioned plans. So, even if it’s a bit expensive, we know that it will be a worthy choice for your future. To be noted, the mentioned price of these packages here are discounted. This discount applies if you are buying any packages for the first time from Bluehost. Thus, the mentioned price will not be applicable during your renewal. All of the packages can be bought from 1 month to 3 years at once. And, the discount will also be impacted by the length of your billing cycle. For instance, if you want to get the highest discount, you have to buy the packages for 3 years. And, the discount will decrease if the length of your plan decreases. So, we hope you will keep these in mind while choosing your plans. 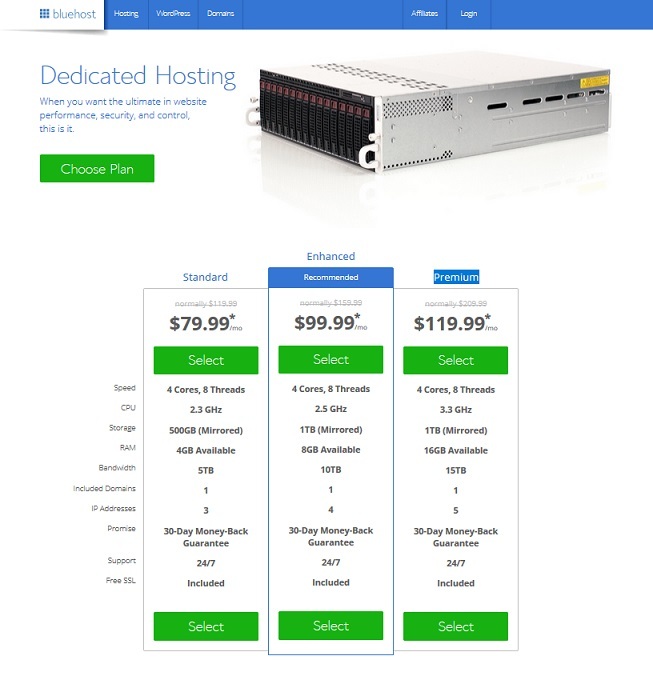 Who should get the Bluehost Dedicated Hosting Plan? Dedicated hosting comes with a lot of advantages. So, it can be helpful for anyone who wants to get the best performance from their website. Yet, it is not recommended for everyone to use dedicated hosting. For instance, if you are just at the beginning of your online journey, you don’t need to spend so much money by getting a dedicated hosting account. On the other side, for website owners with big websites which receive high traffic dedicated hosting can make a huge difference. If you want to get a stable and identical performance from your website even when your website receives a sudden surge of traffics then you will love dedicated hosting. There are a lot of popular businesses, companies use dedicated hosting on their website. Bluehost Dedicated hosting service is also good for non-techy users. As this type of hosting service is maintained by Bluehost in-house. You don’t have to be worried about any server sided problems. You can focus on creating new and improved content for the readers of your blogs instead. Bluehost also offers special support for their dedicated hosting users, so any non-techy users can take this advantage of dedicated hosting of Bluehost. 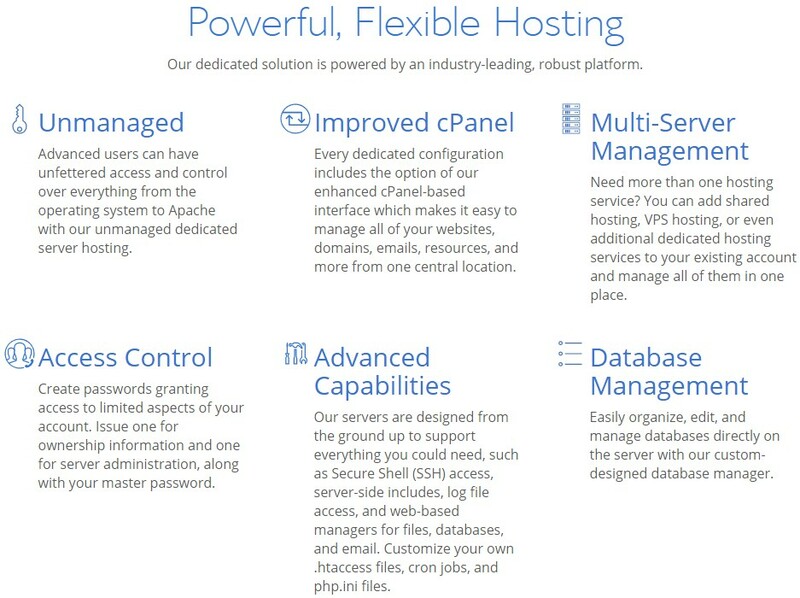 For any power users with multiple big websites, the dedicated hosting of Bluehost can be the perfect fit. For bigger websites, you will be needing more horse-power and that is only possible with dedicated servers. So, if you are in need of high-end performance from your websites and don’t have any problem spending a bit higher than normal, you can migrate to dedicated hosting service without a second thought. It will be a game changer for your online presence. Is it fitting for all the web applications? You have to be aware if your web hosting company is compatible with all kinds of web applications or not. Or else, you might find out that you can’t install your favorite web applications on your website after spending your money by buying the packages. So, it is wise to check it before you finalize the deal. To make sure that you don’t have to go through this type of situation, we will talk about the compatibility of Bluehost with most web applications. For your information, web applications are also known as CMS (Content Management System). The CMS is used for creating new contents without having to code on any websites. There are a number of different CMSs out there. You may have heard about the names of WordPress, Joomla, Magento, Drupal etc. These are the most popular ones. Yet, there are more which are not well known but many people use them on their website. And, Bluehost is fully aware of that. Thus, they have optimized their servers for almost all kinds of web applications. You can use any of the well-known CMSs with Bluehost. 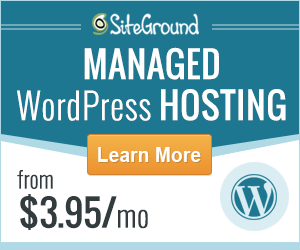 Most importantly, Bluehost offers additional support for WordPress as it is the most used CMS in the world right now. So, if you are planning to use WordPress on your website, then you should go with Bluehost. Other than WordPress, Bluehost is also compatible with other popular ones. So, you don’t have to be worried if you are not going to use WordPress on your website. Bluehost offers the necessary tools like AutoInstaller, Autoupdater on each dedicated hosting account. These tools will come pre-installed on your cPanel. With the help of the auto-installer tool, anybody can install any CMS in an instant without having any professional skills at all. And, the Autoupdater tool will automatically update your CMS if a new update is released. Considering all this, we can say that Bluehost is suitable for any CMS/web applications/scripts to work on. Every dedicated server is custom-made using the latest hardware, software by Bluehost. They use Open Source technology like ‘OpenStack’ which makes websites hosted on these servers super-fast. Setting up a dedicated server is a long process. Typically it takes around 1 week to fully complete the setup. Yet, Bluehost takes only 24-72 hours to set up your dedicated server. 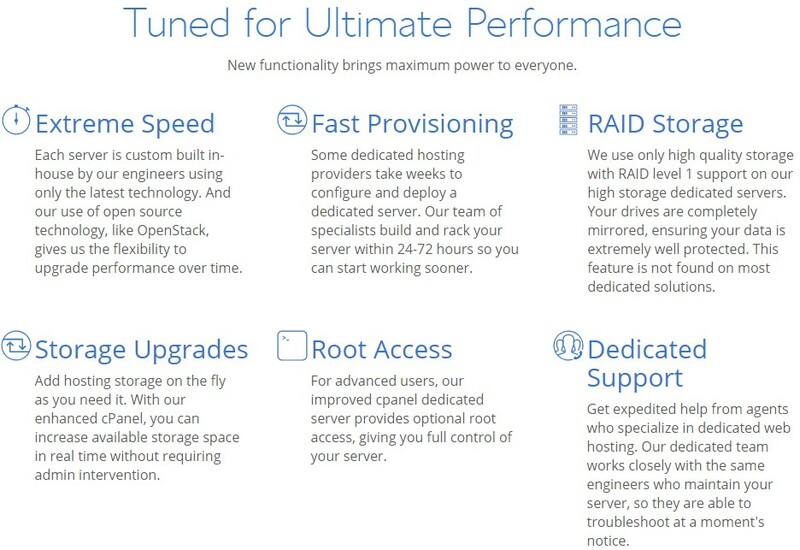 All of the dedicated servers come with RAID level 1 support. This means the drivers of your servers will be mirrored on multiple locations. It makes your data secure and well protected. You will get free SSL certificate pre-installed on your account. That means each of your sites will have SSL encryption for free. Sometimes, even pre-defined packages can’t be enough for some of us. So, Bluehost has made it easy to add extra storage space on your server any time you want to. We know that dedicated hosting can be very expensive for some of us. So, you might be hesitating whether you should spend that much money or not. Don’t worry, though. If you want to try out Bluehost dedicated hosting, you can do that without any problem. You will be able to register a new domain name with your dedicated hosting package. And, Bluehost makes it free for the first year. You have to pay for your domain name from the second year. Now, we will discuss a few notable features of Bluehost dedicated hosting account. Here we go. Each dedicated servers will come with ‘Root Access’. With the help of ‘Root Access’, you can control everything on your server. If you are a developer then you know how helpful this feature can be. You can create isolated accounts for different purposes like one account for your server management, another for ownership information. Also, you can create a master password for all the separate accounts to make those more secure. Bluehost has re-designed the default CMS to make it easier to use. They have also integrated some additional tools and software to the cPanel. You can use the enhanced cPanel from the beginning. So, you will be able to customize your server to its full potential. If you are required to use more than one hosting services from Bluehost, you don’t need to open a separate account to do that. You can add as many new hosting accounts to your current one. Bluehost offers SSH (Secure Shell Access) with its dedicated hosting service. You can connect and control your server remotely from anywhere in the world having the highest security with SSH technology. And, with the ‘Cron Job Scheduler’ which comes pre-installed on your cPanel, you can automate all of the repetitive server related tasks with just a few clicks. And, from that moment, all those tasks will be automatically done. It will save a lot of your time. Even though Bluehost already offers a lot of features with each dedicated package, you can add more features to your account. These features will cost you a little bit. But, they can be very useful. 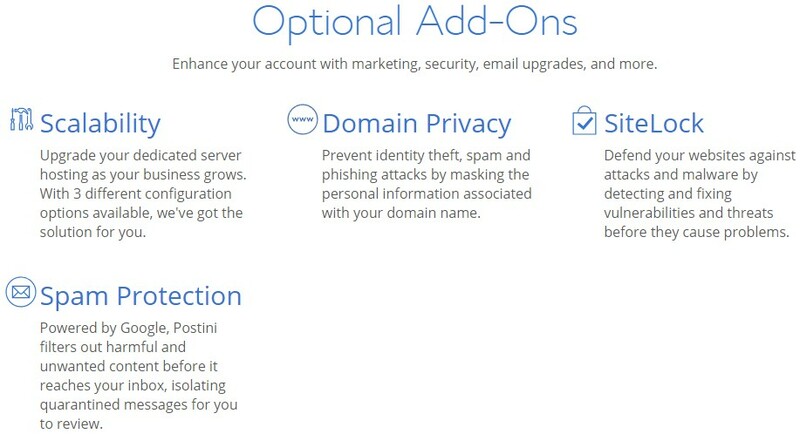 Some of the notable add-ons are Domain Privacy, SiteLock, and Spam Protection etc. Also, if you don’t like the pre-defined packages, they have another 3 different dedicated packages with distinct configurations and specifications. You can upgrade to those packages as well if you want to. These are just the tip of the iceberg. There are a lot more of these awesome features. You can know about more features and services of Dedicated hosting of Bluehost from their official website. It is well-known that Bluehost has some fast servers. As a result, the websites hosted on Bluehost tends to be faster than normal web hosting services. However, it is a logical thing to test the web hosting company out before making your final decision. To tackle this problem, we will be testing out Bluehost’s servers now. We will now conduct a speed test of a website hosted on Bluehost. Thanks to Pingdom’s test server of San Francisco for this test. With the help of this test, we will be able to find out whether the Bluehost servers are good enough or not. So, let’s see. As the test was conducted to determine the speed of Bluehost, we have got our result. Now, let’s break down the result. First off, you can see the website got a ‘B’ on the performance grade section. It is related to the optimization of your website. The ‘B’ grade suggests that the website could be optimized a whole lot better. That would help to boost the website’s speed further. However, let’s take a look at the load time of our test subject now. You can see the website took only 824 ms to load from the San Francisco test server of Pingdom. This is utterly incredible from Bluehost. We know it is better if your website loads faster. But, is there any ideal load time there? There is a word of mouth that it is enough for a website to load within 2 seconds of time. Whereas our test website hosted on Bluehost took only 824 ms. Even though the website was not fully optimized. So, you can say that the speed could be much better. And, as we are writing this post about Dedicated hosting, you know that a website hosted on dedicated hosting server would take far less than 824 ms to load. It is obvious that Bluehost is perfect if you want faster websites. Another very important factor about any web hosting company is the ‘Uptime Record’. Sadly, most of the users don’t think about this factor prior to getting an account with any particular web hosting service. This is a grand mistake, to be honest. Because even a couple minutes of downtime can be harmful to your websites. Even the big player of the internet such as YouTube, Amazon, Facebook etc. lose visitors during a downtime. Similarly, for a normal website, it will be disastrous. So, if you don’t want to lose visitors then your web hosting company should have an optimum uptime percentage. The industry-standard uptime percentage is 99%+. This means it is better if your web hosting provider can maintain an uptime of 99% or above. So, what about Bluehost? Lucky for you, we have a website hosted on Bluehost. This is our attempt to find out the original uptime stat of Bluehost. We have been inspecting the uptime of the test site for a long time. And, we will disclose that information to you in a moment. The uptime record of Bluehost. You are seeing the uptime record of Bluehost for the last 10 months here. For our readers, we update the data on a regular basis, so you can find about the latest status of Bluehost uptime any time you want to. Now, it is plain to see Bluehost actually was up over 99% of the times each month. 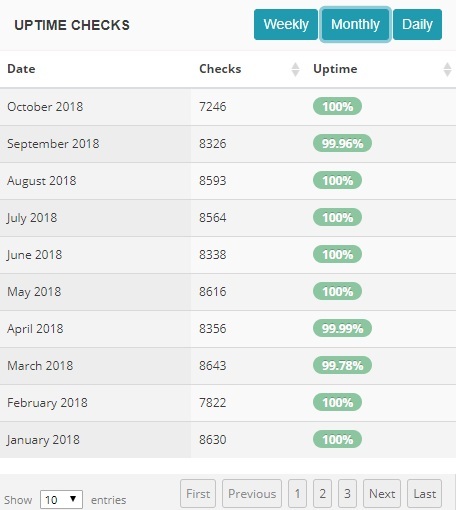 Overall, the average uptime of Bluehost is 99%+ or you could also say Bluehost maintained the industry-standard uptime for the last 10 months on our test website. Added to that, we should also mention that on most of the occasions the uptime rate was 100%. That means we haven’t faced any downtime on our website at all during those months. Yet, we also acknowledge that there was some downtime. The best part about the downtime was that it was negligible. So, it couldn’t affect the performance of our site. Let’s be honest for a moment. People need assistance, don’t they? When it comes to intricate thing like web hosting then it becomes more prevalent. So, if you are searching for your next web hosting company, you have to be careful about the quality of the customer support team of the particular hosting company. It will be very hard for you to deal with your hosting accounts without having a good supportive customer service team on your back. And, Bluehost actually understands this. As a result, they try their best to provide the best possible support to their customers. 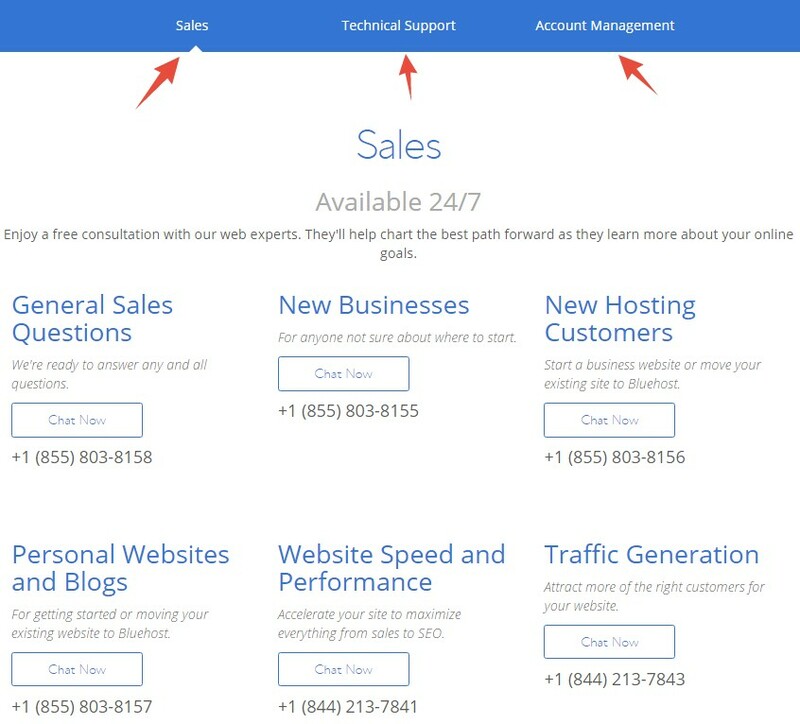 You can get in touch with the Bluehost customer support team 24/7. You can use any one of these methods to do that. On a few occasions, we have had to communicate with Bluehost support team. And, every time we have reached them, they have done their best. The answer from their side was to the point and prompt. If you talk about any issues regarding web hosting, you are guaranteed to find a solution from them. There’s a great news for the dedicated hosting users, you will have special assistance from the customer support team. In your case, you will be given priority while communicating with the Bluehost customer support. It is another perk of having the dedicated hosting package. Another important thing about Bluehost is that they have a dedicated resource page where you will find numerous knowledge base articles. All of the articles are related to web hosting and they are grouped in particular categories. That way, you will find the perfect solution to any of your particular problems without wasting additional times. This is a very helpful step from the Bluehost team. It can help a lot of people who are not comfortable with talking with customer service representatives. Even it is very helpful if you want to learn the concepts related to web hosting management yourself. They also have tutorial videos on their YouTube channel. So, there won’t be any problem using your web hosting account while you have the Bluehost customer service at your fingertips. Last Words: Is Bluehost Dedicated Web Hosting worth it? It is clear that Bluehost is offering more than enough features with their dedicated hosting packages. And, another important thing to notice is that the packages are very affordable compared to other hosting companies’. They have multiple packages so that everyone can find the perfect solution for themselves. We have also put Bluehost to test to find out whether it is fast enough or not. And, we have learned that they own truly ultra-fast servers. So, if you want fast websites, there’s no alternative to Bluehost. Later, we have divulged the original uptime stat of Bluehost. Their uptime performance was over the top. This was beyond our expectation. Also, we were pleased with the quality of Bluehost’s customer support. They were very helpful to us and we can guarantee that you’ll like their service as well. Last but not least, Bluehost has everything from fast web servers, secure system, helpful customer support team, top-notch uptime to inexpensive packages. Thus, it is beyond a shadow of a doubt, Bluehost Dedicated Hosting is the best option when you want the ultimate scalability, security, and performance for your websites. Bluehost has everything from fast web servers, secure system, helpful customer support team, top-notch uptime to inexpensive packages. Thus, it is beyond a shadow of a doubt, Bluehost Dedicated Hosting is the best option when you want the ultimate scalability, security, and performance for your websites.